Thank you for this very useful tip. I had no idea that one could do this. I would truly hope this never becomes possible. I believe that passwords shared in the way you outline should remain hidden, certainly from the recipient. Great, lets make it easier to hack wifi passwords. Are you always such an a$$hole? It works very well indeed. Yesterday I discovered another clever feature: I was setting up my husband new iPhone and discovered I could set it up just from the old one in the same way you are describing . We wanted to start “fresh” and not from a backup. Just putting the two iPhones close I got most of the settings on the new one. You need to pair the new phone with the old one first, a very similar process when you pair a watch. I knew there was a way to do this. It’s simple on my macbook pro but I didn’t know how to do it for an iphone. Thanks. Does the guest get w-fi access forever? Or does giving access this way time out? I gave access to a Plumber trying to bill us and the wife was horrified he could access our network after he left. But, in another share case the guest seemed to lose access after awhile. I’m not getting any popups on my iMac requesting permission to share password with my iPhone 6. That makes sense, because as of now this works iOS to iOS only. You can use it on an iPhone to iPhone, iPad to iPhone, iPhone to iPad, etc. 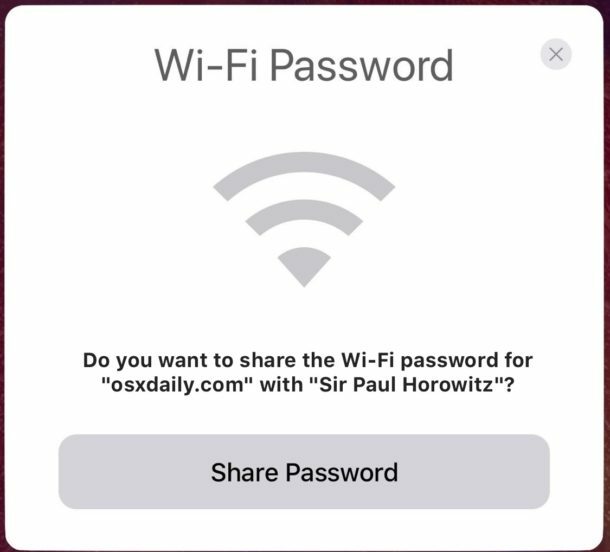 The current Mac OS is not yet supporting sharing wi-fi passwords, but maybe soon the Mac will. 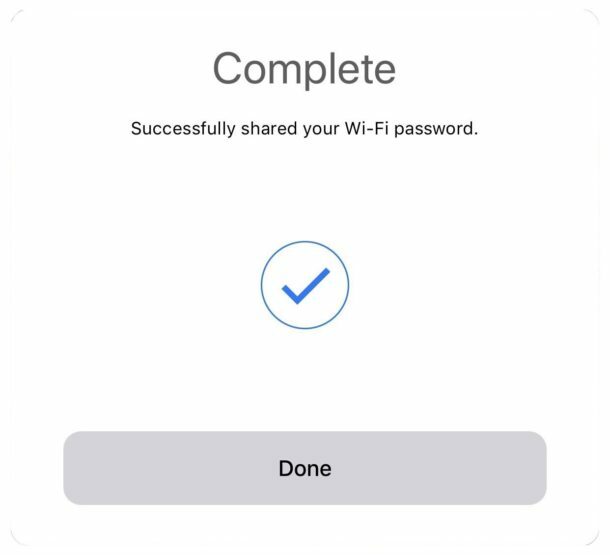 For now the Mac can just type in a password when joining wi-fi.